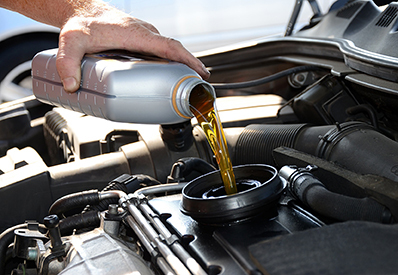 ​Keep your car running and in good condition with regular oil changes. Oil changes are a necessary preventative maintenance that should be performed or your car or truck regularly. Depending on vehicle age or type, choosing the right oil will make the difference between getting to your destinations and breaking down. Remember the old saying, "You can pay me know or you can pay me later"? • High-mileage: We recommend high mileage oil for vehicles over 75,000 miles. High-mileage oil blends synthetic and standard oil to decrease oil detergency. As a car ages, its performance diminishes and the vehicle starts to burn oil. • Synthetic: Synthetic oil is designed to increases vehicle performance and engine protection.